The quality of one’s life is determined by how well one can cope with negative things in life. 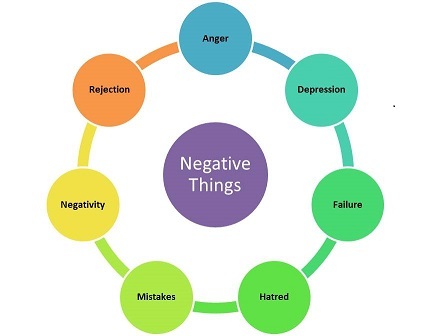 It is therefore, important to be aware of some tips and techniques to handle these negative things. Some tips that are excerpted from my recently published book “Life Know-How: A Life Guide with Sensible Advice to Live Life to the Fullest” are given below. Find solutions to issues that are making you angry. Remember that bad temper makes things worse. Work on getting down your stress levels by doing some physical activity. Aerobic exercises like walking, running, cycling, and swimming, playing a sport that you like, yoga, and meditation are some activities that you can do on a daily basis to reduce stress and make you less angry. Exercise some time during the day to get the benefits of endorphins released naturally by your body while doing the workout. These endorphins trigger a positive feeling in your body and help you fight depression. Have daily responsibilities at home or at work. It can be full-time/part-time, and even on a volunteer basis (i.e. without pay). If it contributes positively towards somebody or something, it will help you counter depression. Shift your perspective and belief system to being positive. Think of failure as the first attempt in learning. Believe that you are much closer to succeeding based on the knowledge and experience you gained. In order to accomplish things, sometimes you need to have faith and increase your efforts, and sometimes you have to abandon things that are not working and try something new. Self-confidence is your best defence against hatred. If possible, ignore the person directing hate against you. Laugh off the insults and stay confident. However, if there is physical assault against you, defend yourself and take the help of others if required. Never indulge in violence against the hater. This will make things even more complicated. Additionally, people will start to hate you as well. If someone is affected by your mistake, apologize to them. Fix it as soon as you can. This will help you and the affected people to move on. If you notice some patterns in your mistakes, you should address the root cause of the problem. Take the time to find a solution that helps you from committing the same mistake in future. The best way to deal with negativity from close acquaintances is to have empathy for them and showing maturity in your interactions with them. Never try to criticize them as they may not take it well. Stay positive and do not let their negativity stop you from pursuing your dreams. On the contrary, your positivity should influence the negative people in the long run. Focus on the present. Do not let negative things from the past effect your present happiness. Whatever happened in the past cannot be changed and you should let it go and move on. When others are rejecting something, they are only saying no to your request because it does not work for them. It is not a personal attack and it is not about you as a person. Talking to a close friend, family member, or mentor will help you get another perspective related to the rejection. By being cognizant of the negative emotions and being smart in the way you handle them, you end up living a good life. Live a happy life!